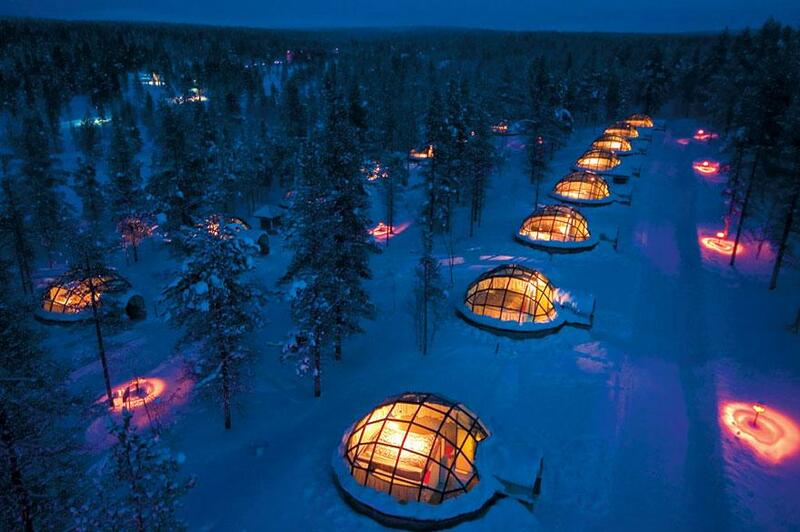 Some of these hotels look very nice, but I’m not convinced I would like to stay in any of them. Not only would they be outrageously expensive, but some of them look to be a little difficut to get to. 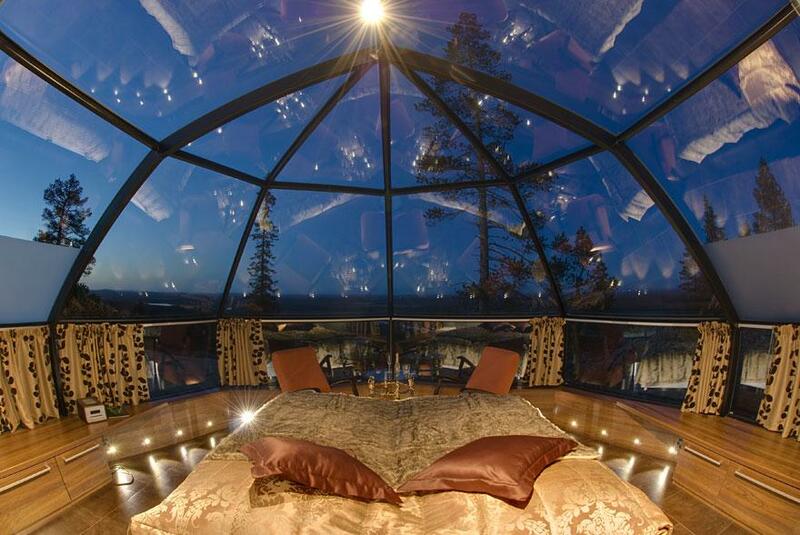 Plus, who really wants to sleep in a big glass bubble? Really? 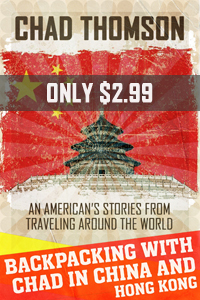 When I travel around the world, I prefer to stay at little guesthouses and b&b’s, interacting with the locals and saving my money! Each to their own, I guess. If you travel to Switzerland you must be quite rich, right? It is a very expensive place. So why would anybody stay here? Look at it! It is old, looks like the mountain is holding it up and the wind must rattle through those windows. The view looks good, I’ll give it that, but the view from the top floor of the Ibis Lugano Paradiso is not bad either, if you crane your neck, and the windows at the Ibis are double glazed. This looks like something out of Blade Runner. I’m not sure I would like to stay here. Serious privacy issues. What if a plane was flying overhead at the exact time you get out of bed, naked? No, not for me. This place got my attention. 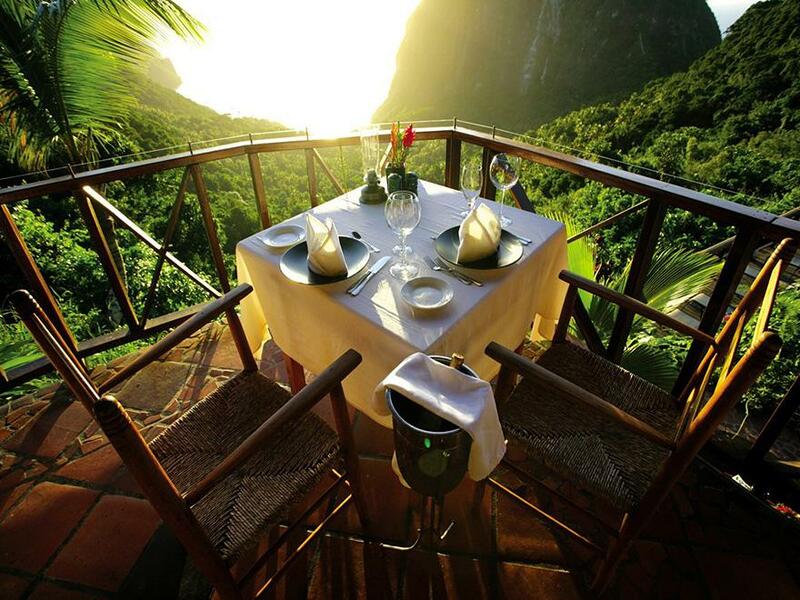 I was almost imagining myself there, eating dinner overlooking the jungle, the beautiful view from the room, and then…. 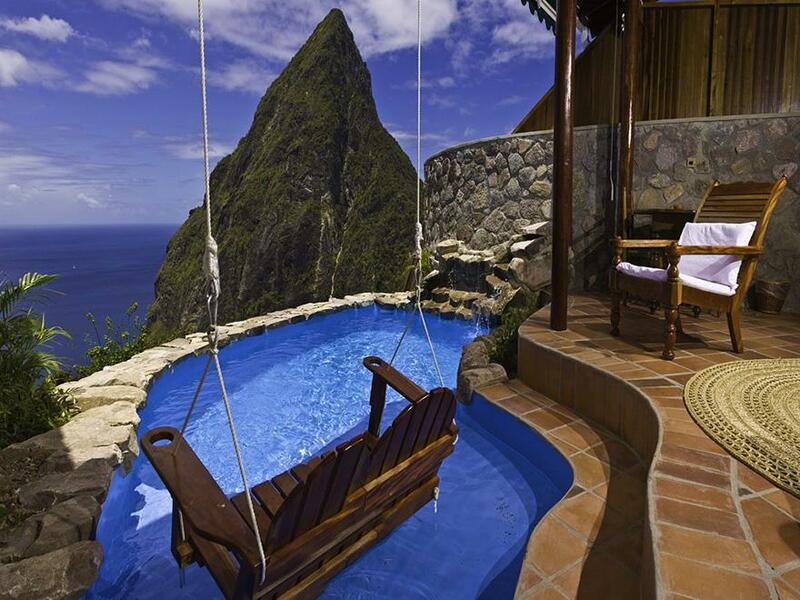 look at the size of the swimming pool! I have seen the nightly rates for this place and for that kind of money I want a pool. Maybe not full size, but at least one I can do a good lap in. 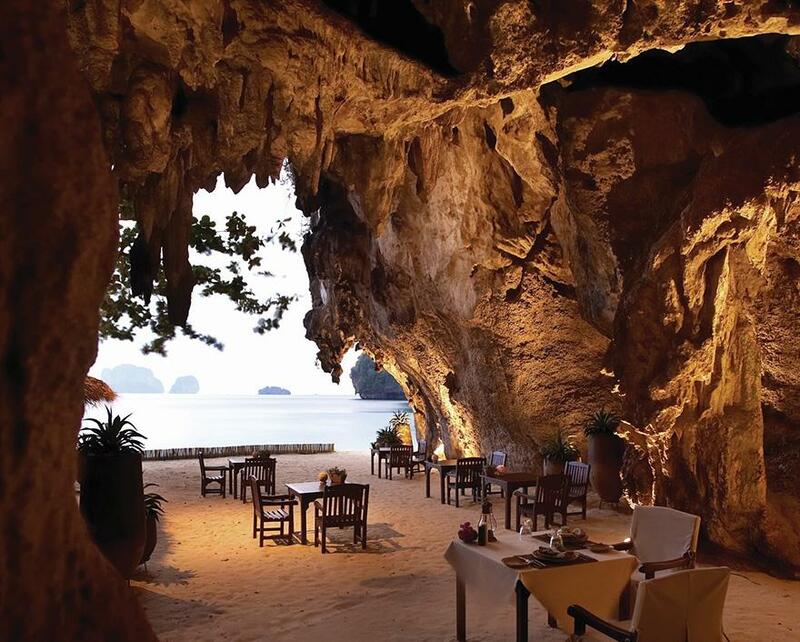 I’m not sure how clean the kitchen would be of a restaurant set up in a cave. What about bats? Be very careful ordering anything with chocolate chips here. The hotel looks awesome! I’ve been to Paris. I never saw the Eiffel Tower lit up like this. I think they were doing maintenance work when I was there, so I couldn’t get a photo of it looking like this. 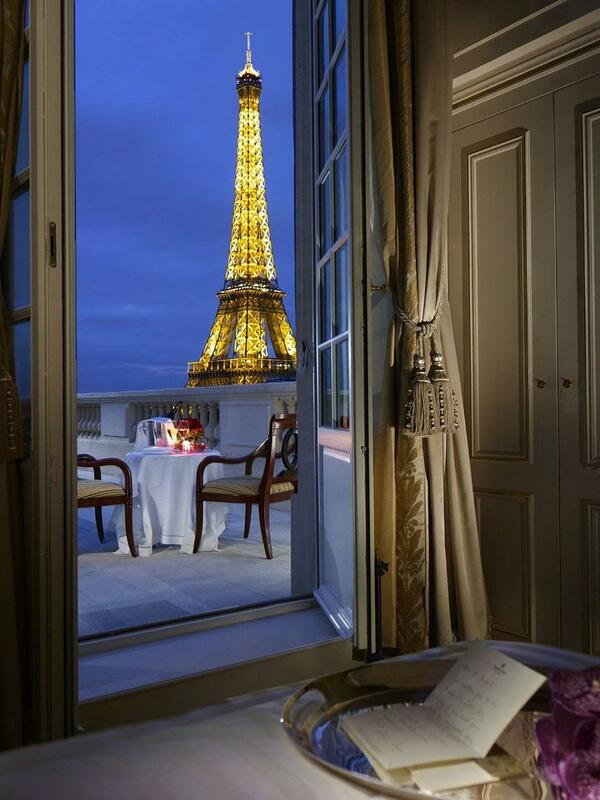 For this reason I would probably stay in this hotel next time I am there, but I would have to check the thickness of the curtains first. Imagine having that thing blazing away outside your room all night! If you are a lite sleeper like me it would be terrible, like when Clark Griswald switched on his christmas lights in National Lampoons Christmas Vacation. I wonder if the hotel provides eye masks? 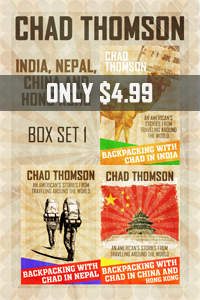 ← Backpacking With Chad In India – My new book! …..and maybe the most amazing blog post in the world! Thanks Ron. Always a gentleman! Thanks Dude! You deserve the praise!!! You too! Thanks for the comment. 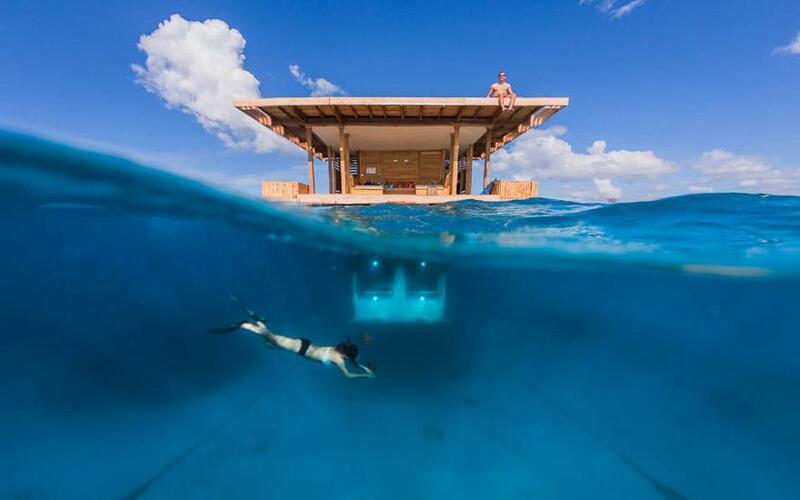 The Manta Resort, Zanzibar looks incredible! 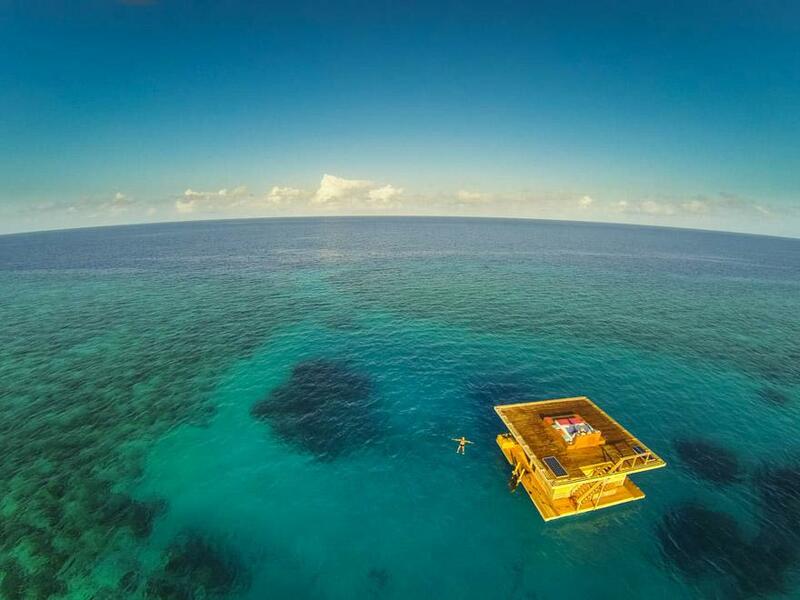 Looks like my fantasy… one day i’ll visit and I’ll let you know how it was sleeping with the fish! Let me know how it goes. I’ll be at a hotel on dry land, free from the possibility of a shark attack in the middle of the night. Sleep well! 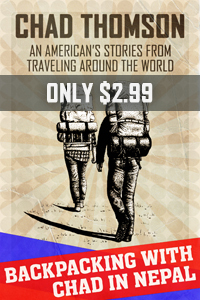 Reblogged this on Zet on Travelling. Good selection of hotels there. 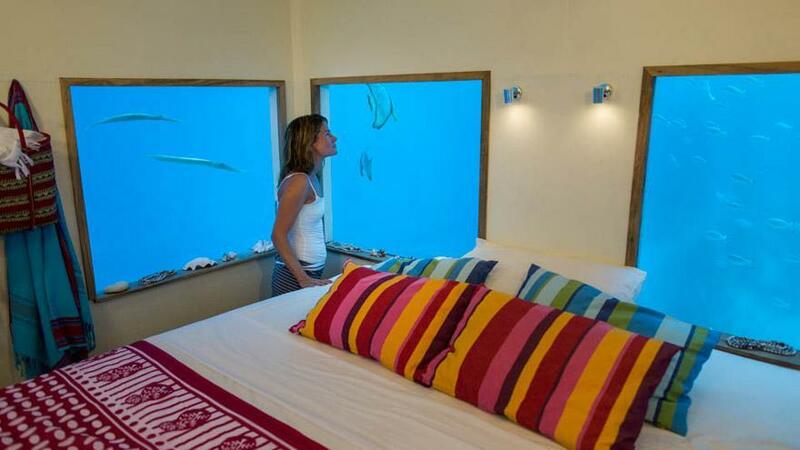 If I book the underwater one am I guaranteed to have a cute girl swimming outside? If you didn’t take a cute girl with you and one shows up swimming outside then you should be very careful and don’t open the door (hatch?) 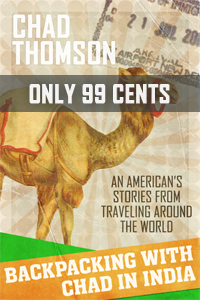 because it could be a sting operation by a band of Zanzibarian criminals. Unless she looks like Honey Rider. In this case you should let her in. Gorgeous pics. 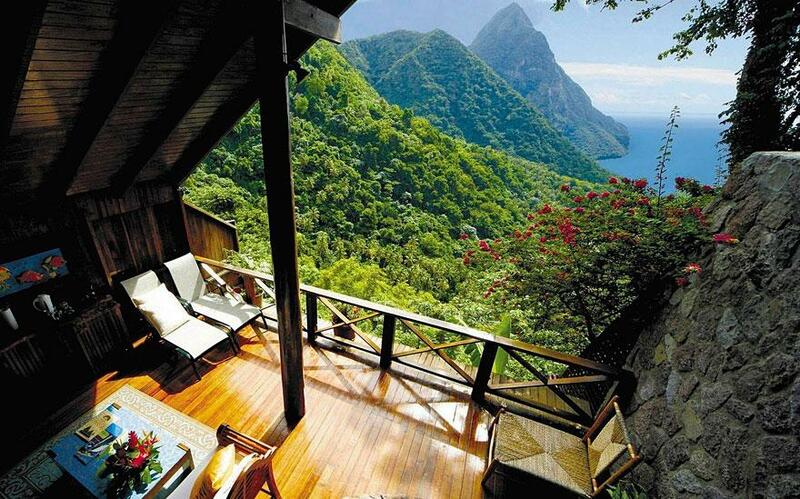 St. Lucia is looking mighty fine. 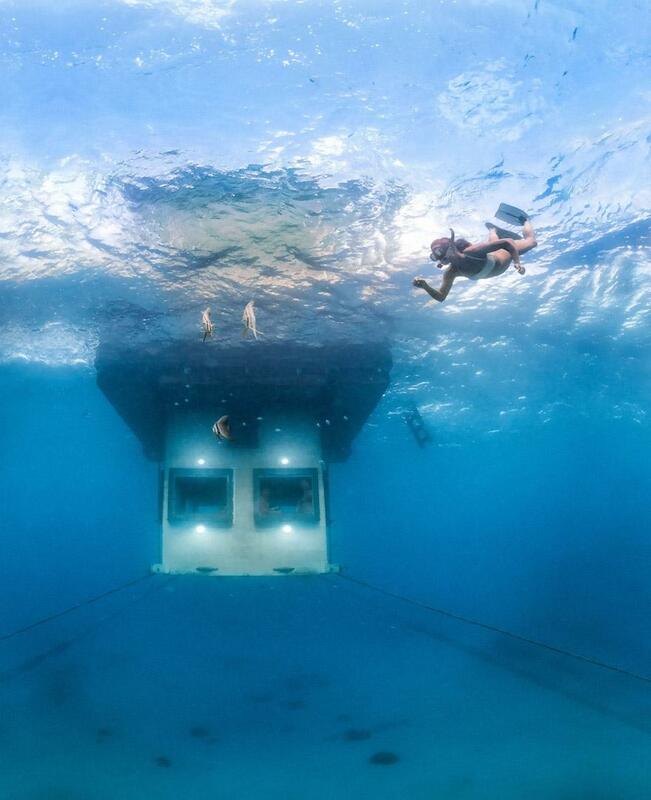 In my search for places in DC and NY I came across Chad’s list of amazing hotels. 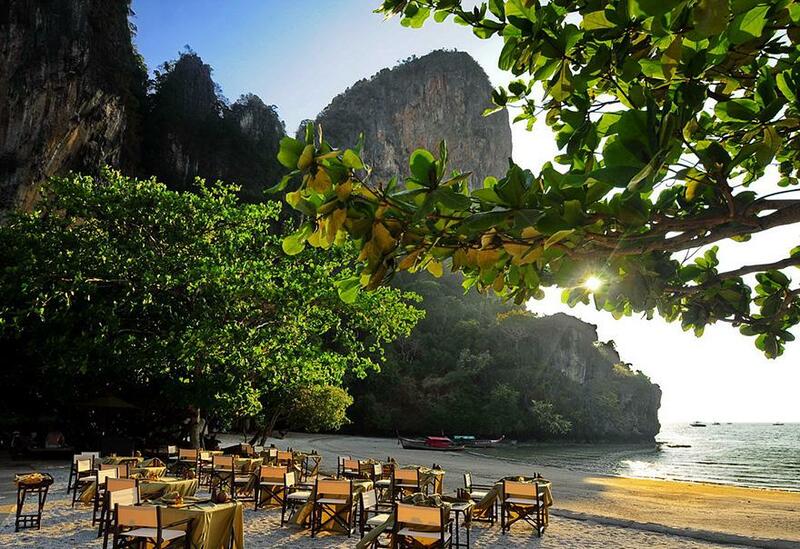 Gotta say I disagree with him though…money aside, these places look pretty awesome! 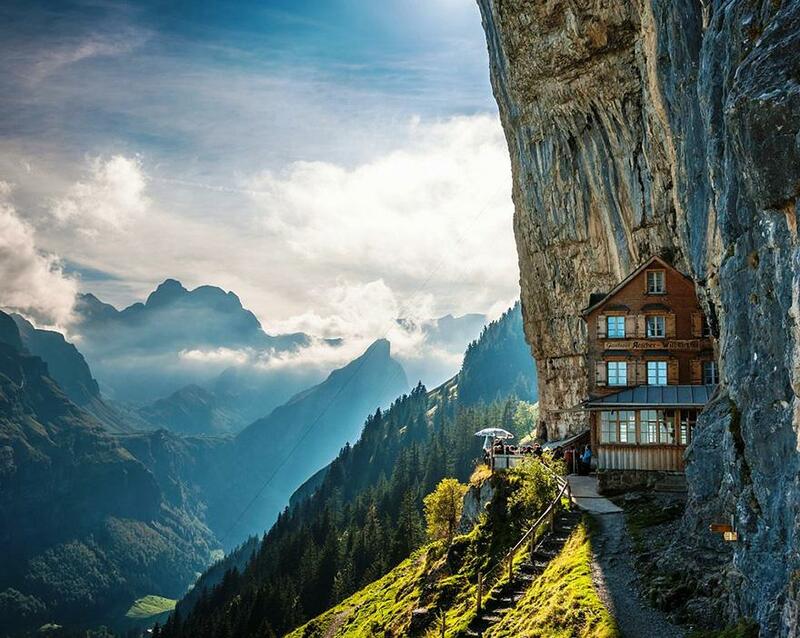 All of these hotels are so beautiful….but I don’t know if I could sleep in a hotel hanging out on the side of a mountain like that (the photo of the one the cliff in Switzerland).